A police sergeant and two detention officers accused of killing an Exeter church caretaker who died after being restrained for more than 20 minutes will face trial next year, a court has heard. 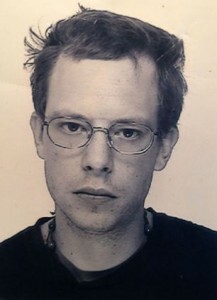 Thomas Orchard, 32, a paranoid schizophrenic, died in hospital seven days after being arrested and taken to Heavitree Road police station in Exeter in October 2012. Custody Sergeant Jan Kingshott, 44, and civilian detention officers Simon Tansley, 38, and Michael Marsden, 55, each deny two charges of manslaughter. The first alleges that they carried out an act or series of acts which unlawfully killed Mr Orchard, while the second accuses them of unlawfully killing him by gross negligence. During a directions hearing at Bristol Crown Court, Judge Neil Ford QC, the Recorder of Bristol, fixed a trial date of January 11 2017 with a time estimate of eight weeks. The trial will take place before a High Court judge. Last month Mr Justice King stopped the 11-week trial and discharged the jury for legal reasons after four days of deliberations.